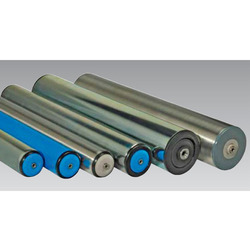 Our offered Conveyor Rollers are used to support the conveyor belt and are installed on the groove shape frame which offers forward inclined idler frame and transition idler frames. Rollers include high quality bearing, multi labyrinth sealing, greased and sealed for life and critical specifications essential for high performance. Furthermore, these are designed for smooth rotation, low noise, and long service life. Each and every roller comes out through strict inspection and tests to ensure high level compliance. We are the renowned company known for offering Air Shafts to the clients. This product is used as a device to handle wind reels. Offered range is shafts are made by utilizing the best quality raw materials and advanced technology. Air Shafts is rigorously tested on various parameters. Air Shafts in various specification as per the applications needs of our valuable clients. 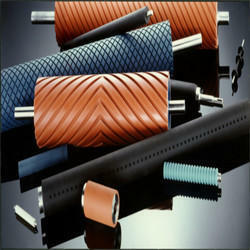 Offered range is consists of slotted pipe, journals to suite users machine, lugs, rubber bladder and non-return valve. Air Shafts is suitable for both unwinding and winding stages, decided based on duty conditions like load, speed and core material. 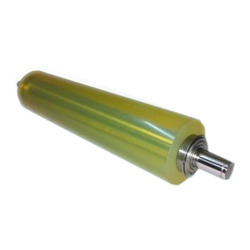 Our offered Polyurethane Coated Rollers that are created at our unit comprising of experienced and technically sound individuals that have come together to serve the industry. These rollers are continuously involved in product development and new methods of manufacturing to serve better service and product to its customers. 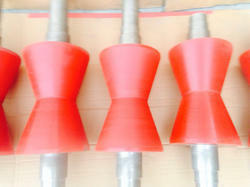 These find its applications in printing, packaging, plywood, paper, steel, food processing, glass, tannery industry etc. Furthermore, we have continuously imparted improvement with use of feedback generated by customers and collected internally regarding the performance to monitor effectiveness at achieving these metrics. Our offered Industrial Rollers are created with use of industry grade components and advanced technology under the guidance of our deft professionals. These have flange plates added to accommodate a variety of mounting configurations with rugged steel bodies, hardened steel rollers and sealed bearings. Furthermore, these can be configured to meet your requirements and modifications to the basic roller unit and custom designs availability. 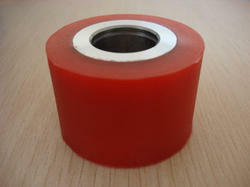 We are the renowned company known for offering Polyurethane Coated Rollers to the clients. This product has excellent abrasion resistance and has outperformed ordinary rubber and plastic. Offered range is the capacity of high load bearing and it also avoids floor damages. Polyurethane Coated Rollers is fabricated with the utilization of supreme quality polyurethane with the help of avante-grade technology. This product is widely demanded for its rugged structure, easy installation and other salient features. Offered range is made using by various types of Liners, Screens, Wipers, Scrapers, Belt Scrappers, and Impact Conveyor Rollers, Gaskets and Seals for Mining Equipments. 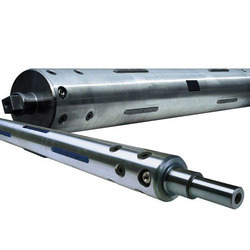 Our offered Air Expanding Shaft is an outcome of continuous research and development of various parts of the shaft and thus we have the built a good name in the market as a renowned entity. These delivers superior performance for winding application in the widest range of roll handling process and is one of the best cores gripping having widest range from heavy to light duty work. These can be availed at leading market rates and customization in case of specific application use.